The marketing team of The Final Station needs to sit down and have a little talk about their strategy. While elements of the game trailer do appear in the game itself, when actually playing the game it is evident that the promotional video has focused on the most boring aspects of the play through. 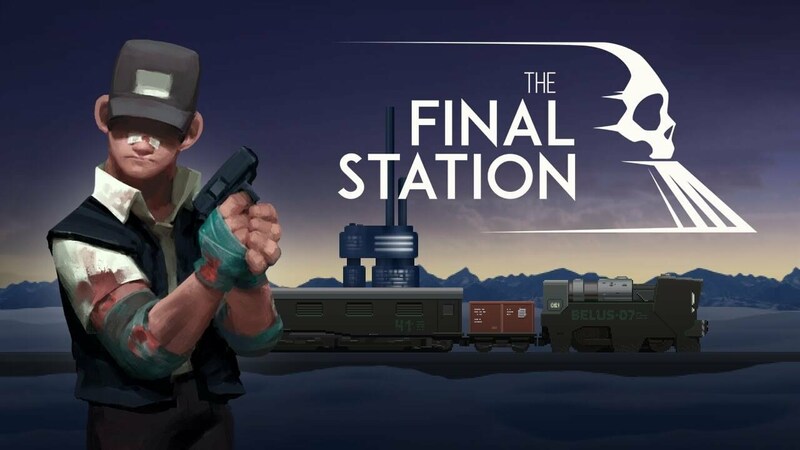 With a name like The Final Station it’s easy to assume that, like in the trailer, most of the game hinges around maintaining the protagonist’s train. This is not true and the game is all the more better for it. Instead, maintaining the train takes a backseat to rich world building and often becomes tedious as the game goes on. Ultimately, it is the storyline and subplots where The Final Station shines. Through exploration of the hand designed levels, the player can get the full story by going through each of the rooms or they can decide that the shadow creatures are too overwhelming to justify finding a dead man’s shopping list. Not everything that the player can find will be relevant, but not it’s the little nuggets of information scattered throughout that really helps the player to understand what’s going on here. Take note of the people with white eyes. For the more experienced 2D shooter, the action in The Final Station might seem a little bit subpar. As long as the player is aware that they can craft their own supplies and isn’t a terrible aim, then death is easy to avoid. The game does become slightly harder as it introduces new enemies with new strengths but reincarnation is not out of the picture. The game uses a system of checkpoints which often means that the player will find themselves back where they were 4 seconds ago. Some might find this frustrating if they go into this game expecting pure survival, but it makes sense in this context as the game appears to be mostly plot driven. While the game is enjoyable, the $15 price tag seems a little bit steep for 4 hours of gameplay. It does have some replay value, especially if the player has missed some vital clues in some of the levels, but the story soon becomes quite linear in nature. Taking the positives and negatives in mind, our final recommendation is Half Price or, if you want to be a little more standard, a rating of 2/3. THIS GAME TAUGHT US: Train drivers are super humans who never have to eat (despite hungry people dying all around them).